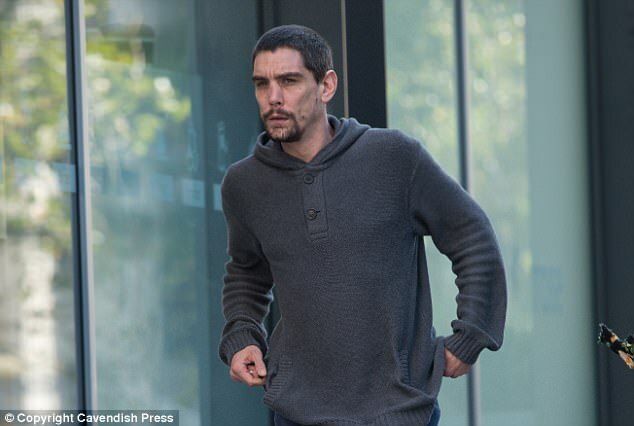 He was unable to leave his jail cell because of death threats from fellow inmatesA homeless man who was hailed a hero of the Manchester terror attack stole from victims and took sick photographs of dead people following the atrocity. 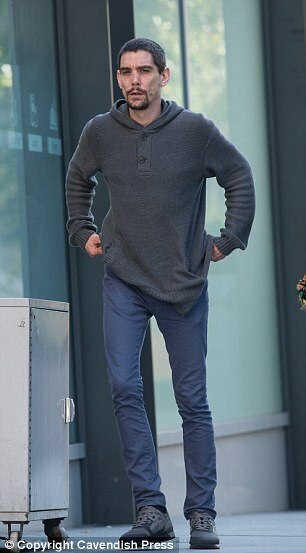 Parker was detained on Tuesday evening when police found him hiding in a loft hours after he failed to show up for his trial having earlier told his ex-girlfriend he planned to give himself up. The court also heard that after his arrest Parker had been remanded in custody at HMP Manchester but was unable to leave his cell because of death threats from fellow inmates. He showed no emotion and bowed his head in the dock as prosecutor Louise Brandon said: 'He has admitted stealing items from the victims of the terror attack at Manchester Arena. John Broadley, defending, said: 'The only thing he can do is plead guilty and sincerely apologise for his appalling behaviour on that evening. Parker will be sentenced on January 30 and was remanded in custody. Judge David Hernandez said: 'A custodial sentence is likely in this case. Earlier the footage showed Parker looking over his shoulder as people run in the foyer after the explosion. He went on his own mobile phone before going into the arena and walked past bodies and was kneeling over them. He kicked a bag and looked inside it before walking around around talking to police at the scene. Seconds later he was back on his phone again before squatting on the floor appearing to looking for items. Parker was seen to pick up a phone but was not seen putting it down again. He was also seen speaking outside the venue to a child believed to be 12-year-old Millie Kiss whose mother Michelle died in the explosion. He spent several moments with the girl before going back on his phone and returning inside the arena where he was spotted taking photographs of the scene. Parker was seen to bend down over Mrs Healey and touch her before picking up her bag and looking in it. He was also taking pictures of her. 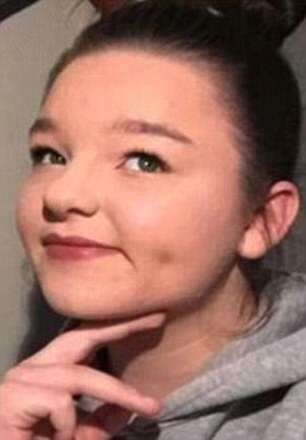 Photos found on his phone showed bodies strewn around the floor in the foyer, a shirtless man being tended to as he lay seriously injured and a third picture of Mrs Healey with her hand over her face eyes closed in pain. A fourth image showed a pound coin next to a nail shrapnel. 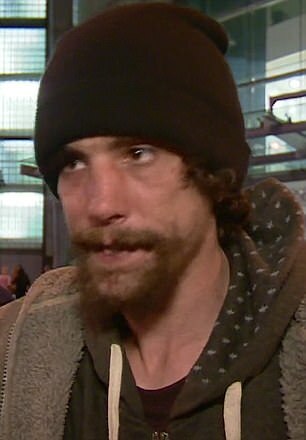 Chris Parker, 33, became an overnight celebrity after he claimed he helped injured victims following the atrocity. 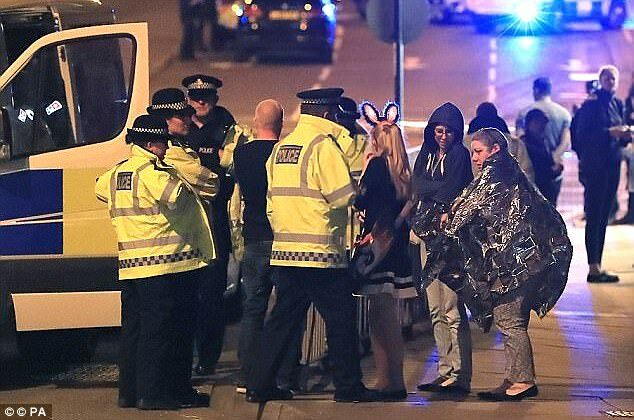 But he denied being a 'hero' and said he was simply a 'regular guy' who ran into the Manchester Arena because he 'heard children screaming'. But he was later found to be a fraud after he admitted stealing from the victims when they were fighting for their lives. 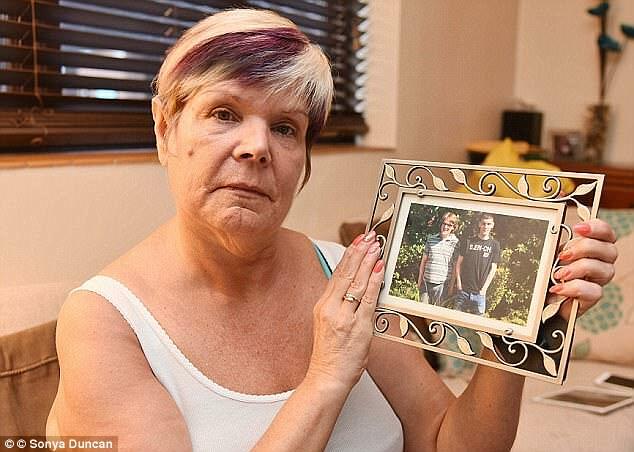 Speaking just days after the attack, he said: 'My name is Chris Parker. I'm supposed to be a hero, but I'm not a hero. 'I'm just a normal guy. Just a normal, regular guy who ran into the arena that night all because I heard kids screaming - I had no choice. And I'd do it all over again quite happily. 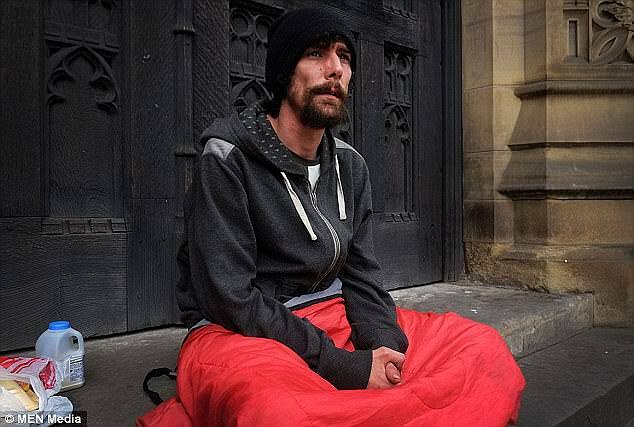 'I'm still homeless on the streets, even though the public has been funding all these funds. 'The funds don't get released until next week so I'm struggling, really struggling. 'Someone's even just bought me chicken and chips for god's sake. 'I'm hoping to get my family back together, that's what I'm hoping to get. It would be a big start for me.